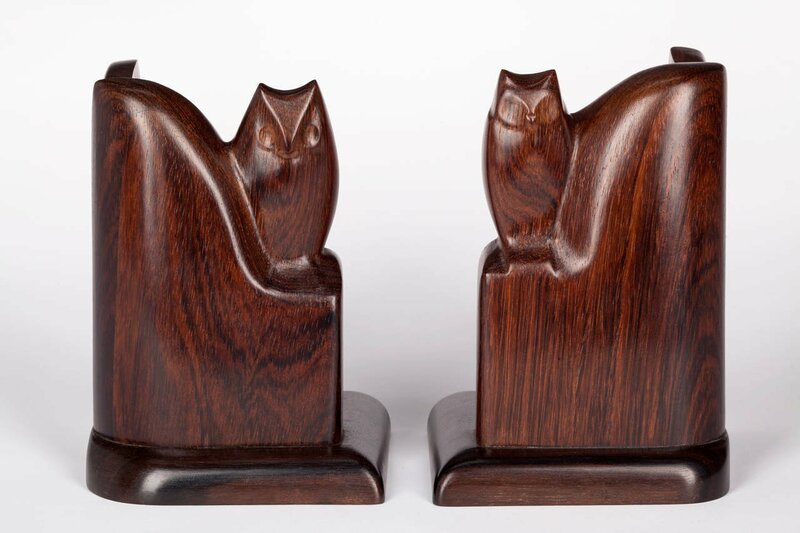 A pair of two Amsterdam School bookends with sculpted owls from the 1920s by Bernard Richters. 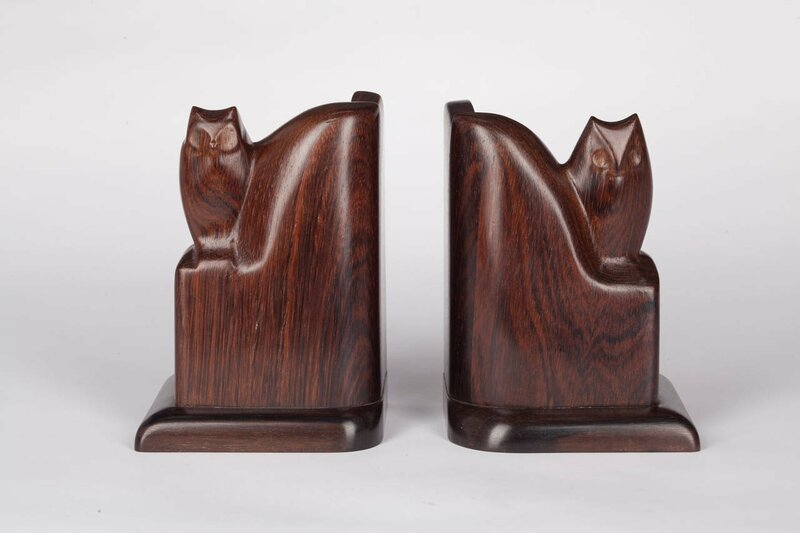 The bookends are carved out of rare coromandel wood and differ in height and expression, which gives the pair a unique appearance. 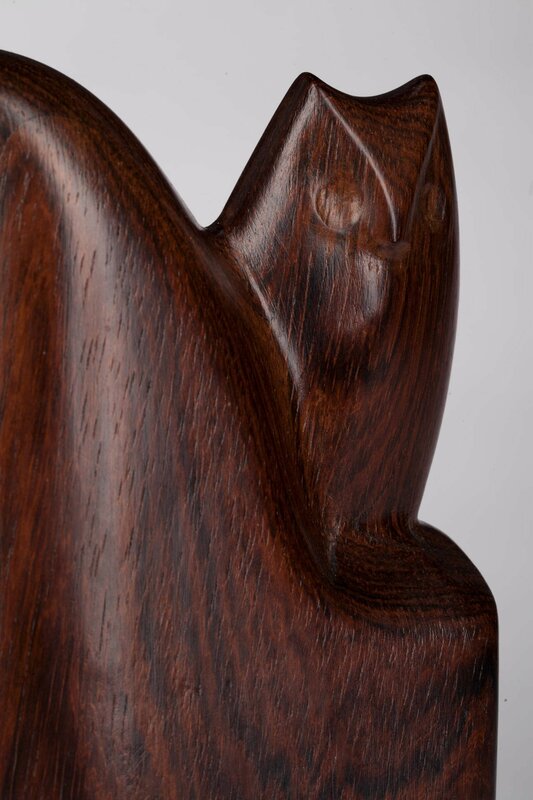 Richters was a master in using the natural patterns of wood to emphasize the shapes and expression of the figure. 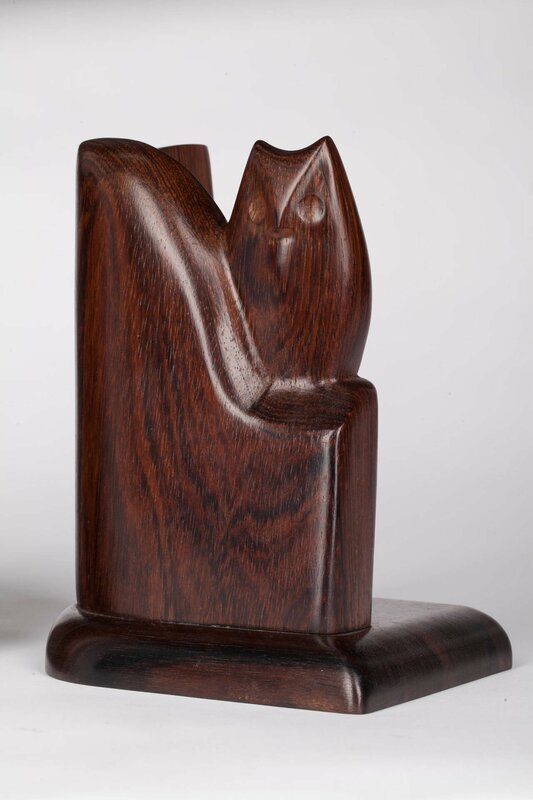 Bernard Richters (1888-1966) was an intriguing Dutch visual artist. 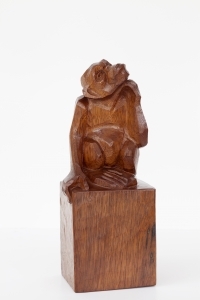 Between the two world wars he worked in the Expressionist and symbolist style. 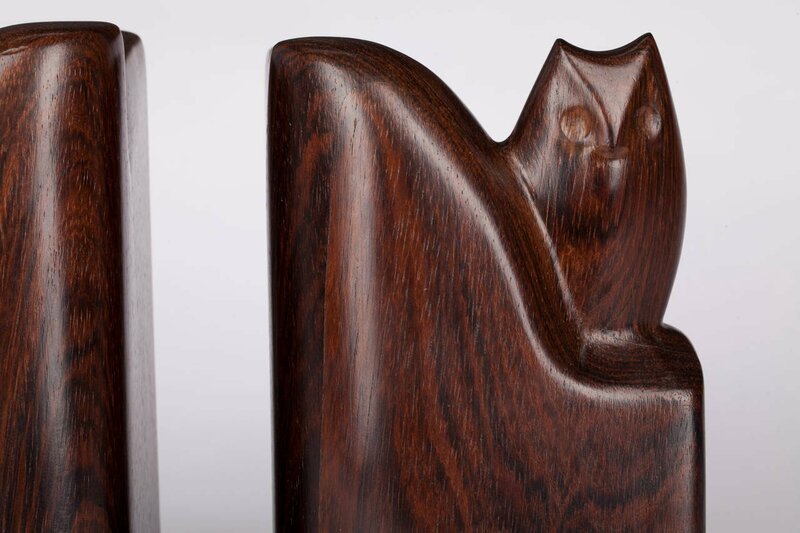 He joined the expressionistic Rotterdam group "De Branding" and was influenced by the work of Mendes da Costa and Otto Freundlich. 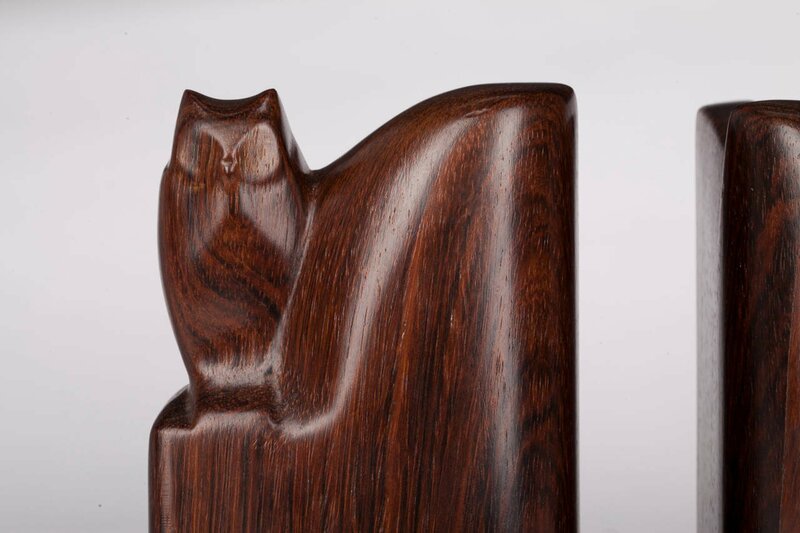 His sculptures are as mysterious as he was himself, seldomly attending exhibitions and avoiding any publicity. 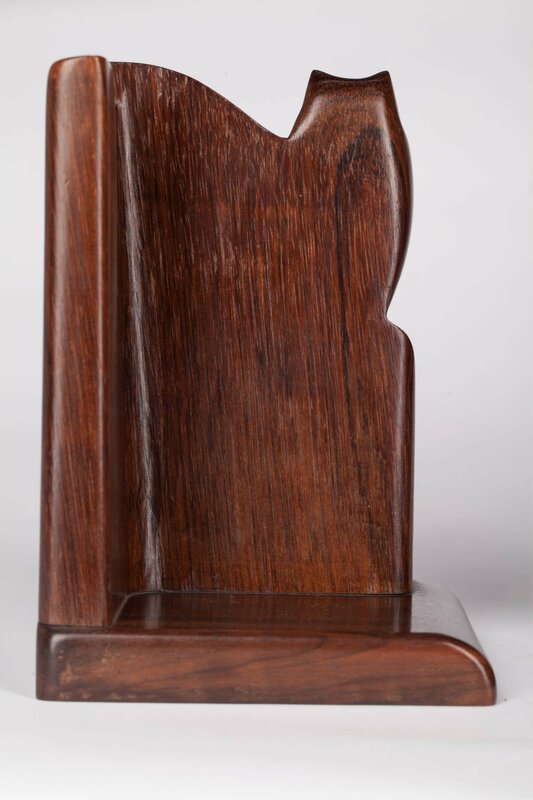 During his life he was known as an unworldly and impractical man. 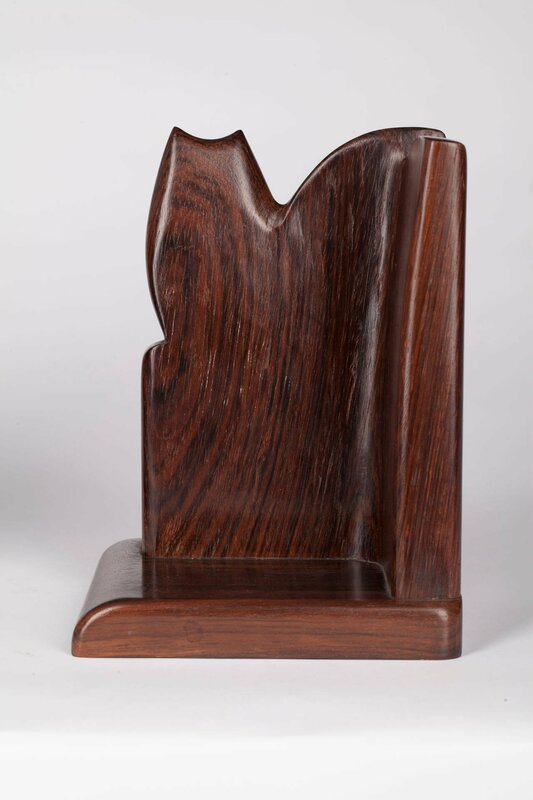 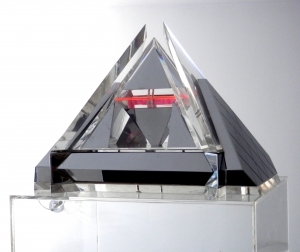 The sculptures of Bernard Richters are very exclusive: although he was greatly appreciated for his work during his life, he felt extremely uncomfortable by selling his work. This is why he kept the prices high and sold only few artworks. 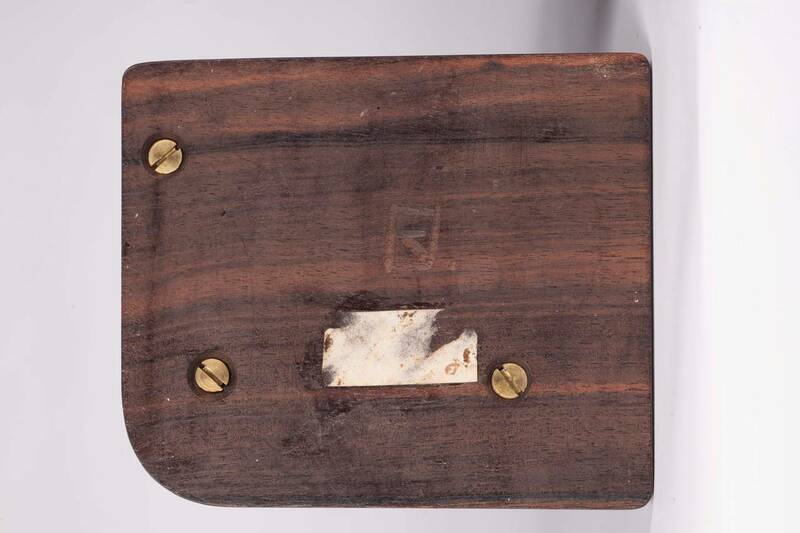 Measurements of the left bookend are 10 x 12 x 16 cm, of the right bookend 10 x 12 x 17 cm.